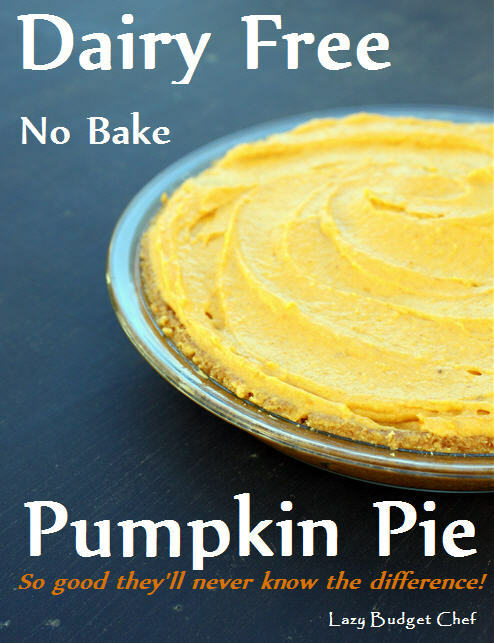 I’m often asked to make what is now known in my circle as The Pie That Ruined Thanksgiving but had to give up eating it because it is not milk or dairy allergy friendly. 1. Thoroughly mix the vanilla pudding mix, dairy free milk, and pumpkin spice together in a bowl. 2. Add the pumpkin puree to the pudding mixture and thoroughly mix the ingredients together. 3. 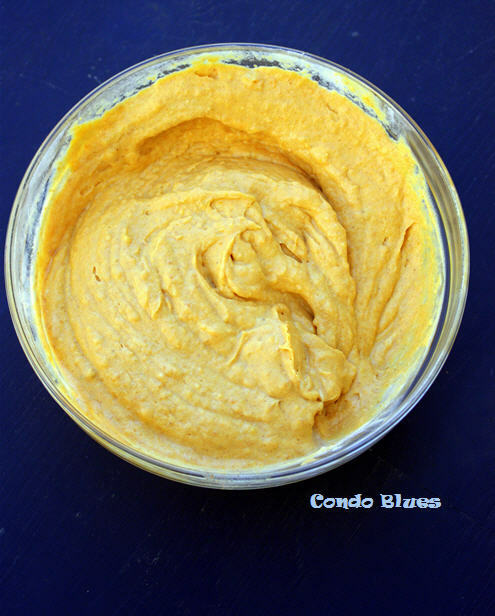 Mix the coconut milk whipped cream into pumpkin and pudding mixture bit by bit until the mixture reaches a light but firm consistency. You will have to play this by ear because coconut milk whipped cream will not have the same full bodied texture as dairy fat as cow milk whipped cream. Depending upon the type and consistency of coconut milk whipped cream you use you may not need to use the entire amount otherwise the pie will be too wet and not set when chilled. Tip: If your no bake pie filling is too wet to set properly, add a little bit of zanthum gum or corn starch to thicken it if you wish. 4. Pour the pumpkin pie filling into the graham cracker pie crust. 5. 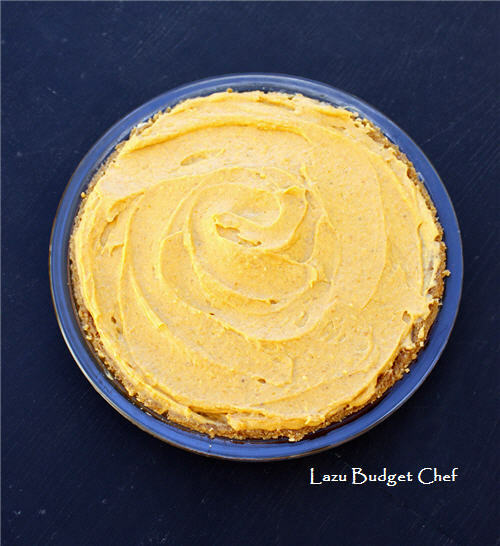 Chill the pumpkin pie in the refrigerator for at least three hours before serving. I usually let mine chill overnight. 6. Slice, serve, eat, repeat!